Fall has officially begun and we’ve got some great October taproom events lined up. If you’re visiting Salem and need respite from the crowds, we’re here for you in Beverly. Here is a list of our currently scheduled pop-ups and beer releases for October. Come spend some time with us this month! Our summer seasonal, Farmhouse, expired last month. For October, we decided it would be nice to bring that refreshing saison yeast back. We reworked the beer we collaborated on with Riverwalk Brewing last year. We used a heavy dose of rye malt to add spiciness to compliment the yeast flavors. And then we chose Hallertau Blanc as our last addition hops for subtle flavors of grass and white grape. 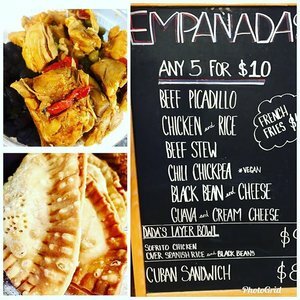 Last time Empanada Dada came to visit us they didn’t have a bread vendor for their delicious Cuban sandwiches so they did not have that as a menu option. They are working diligently to find a new vendor before their October 5 pop-up so we can all enjoy that sandwich once more on the streets of Beverly! And of course they will have their wonderful selection of fried pockets of awesomeness. If you have not yet been to Lolo Poke’s shop at the end of Rantoul Street you are most certainly missing out. But, don’t worry, we have you covered! 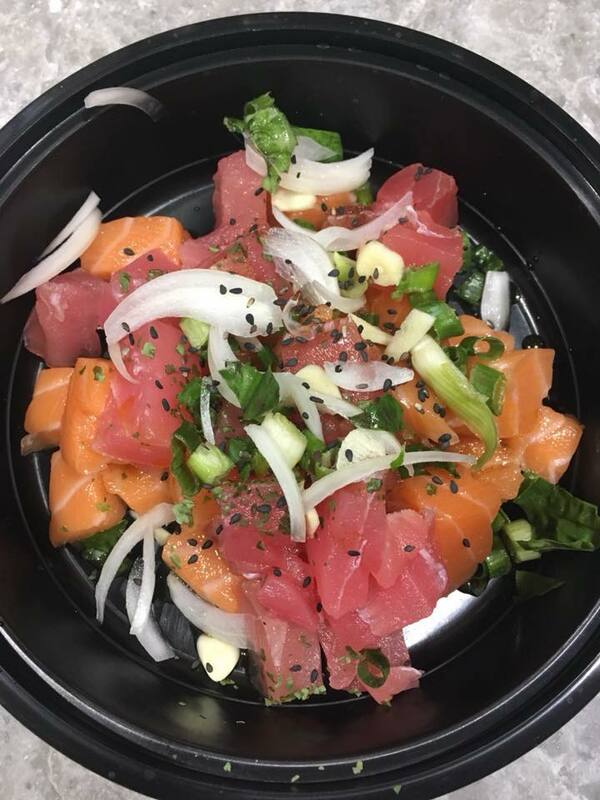 Come to the taproom on Saturday from 12-3pm for a delicious poke bowl. What is poke, you say?! Basically, it is deconstructed sushi eaten in a bowl by natives of Hawaii, but really it is much much more than that. 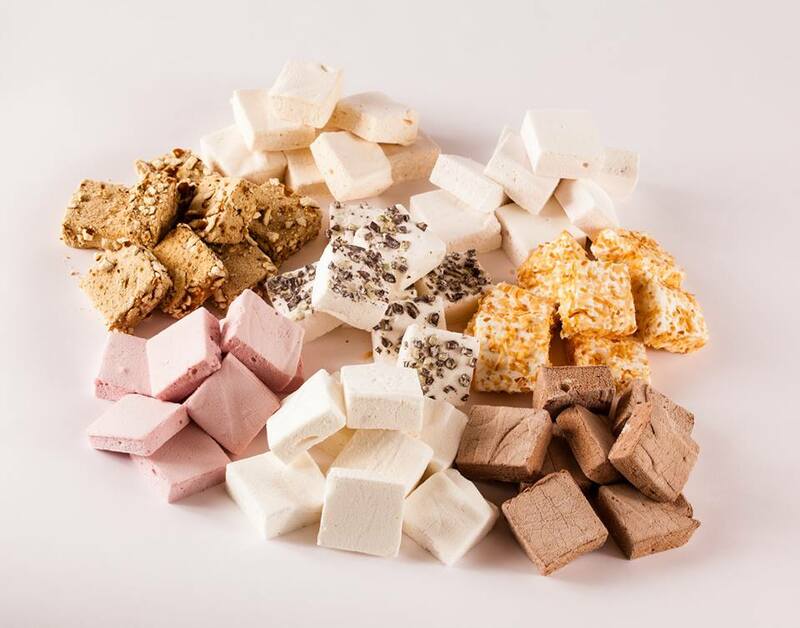 Come taste it for yourself and say Aloha! In a seasonal shift culture that puts out Valentine chocolate on December 26, Memorial Day decorations on February 16, and pumpkin spiced everything on what seems like July 5, we choose to release our Squash Porter in, you know, the fall. Instead of a light orange base beer with premixed pie spice, we create a rich porter, use freshly shredded local butternut squash from Chickadee Hill Farm in the mash and add a proprietary blend of cinnamon, allspice, nutmeg and whole cloves to the end of boil. We try not to overdo flavored beers but this one comes out too good to pass up. Anytime we can get BBQ at the taproom is a good time. 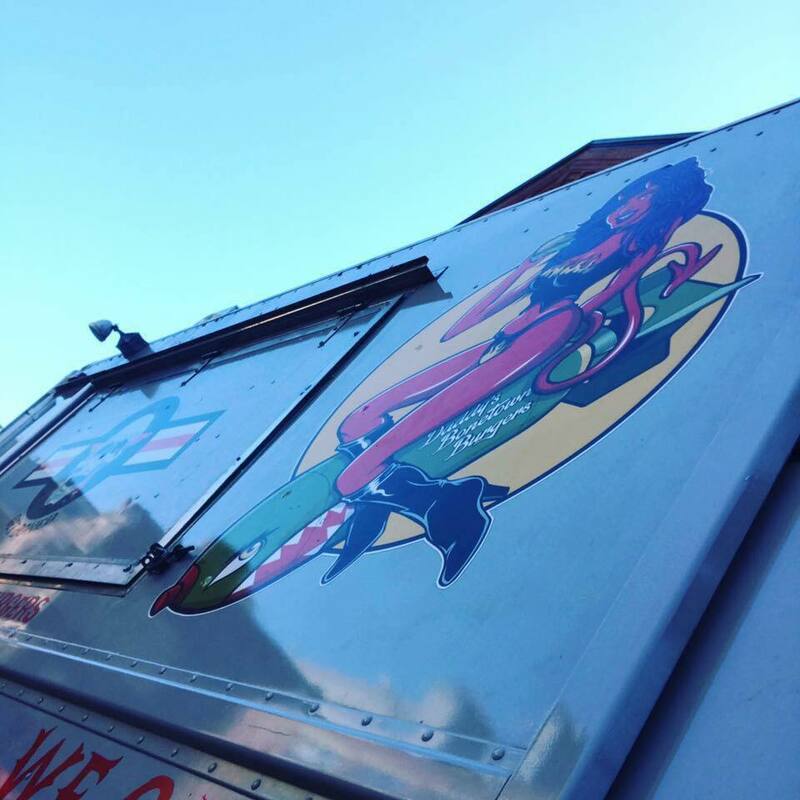 Join Smokin’ Betty’s for dinner at the taproom. They will have a variety of pulled meats and decadent sides. 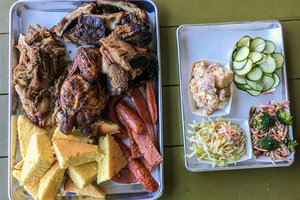 We love that they have continued catering their BBQ around the North Shore and always look forward to the opportunity to welcome them back to the taproom! We developed this beer in collaboration with our business neighbor’s The Castle using their Bastion coffee. A simple and delicious English brown ale grist recipe gets a healthy addition of their ground coffee to the mash. English hops provide the balance. The result is a beautiful brown ale with a distinct red hue from the coffee. We fill some extra kegs for The Castle to serve at their board game cafe, so it will go fast in the taproom. 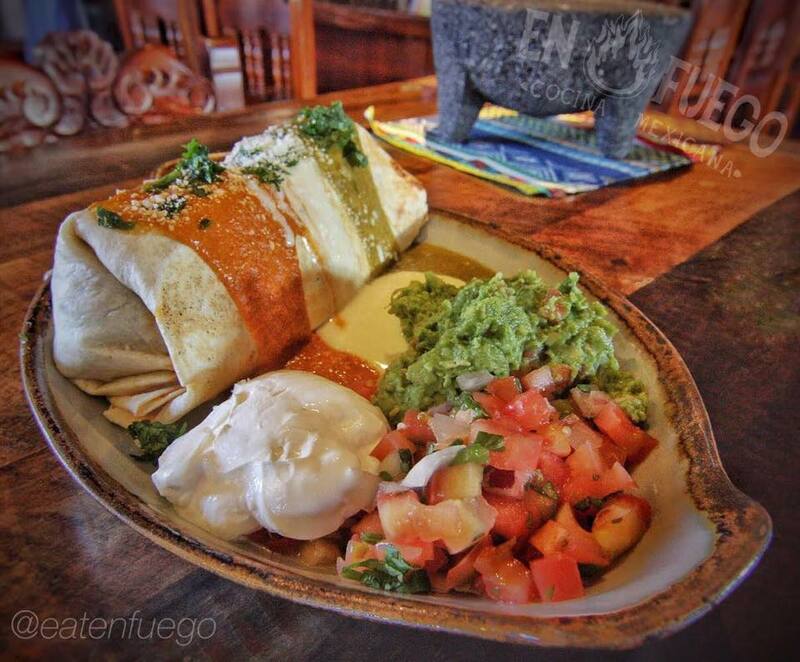 Burrito pop-up with En Fuego!!! That is all. Tread Tabata is taking over the taproom for a special Tabata style class! The class will be led by Tread Tabata owner Kathy Glabicky, one of Shape Magazine’s 50 Hottest Trainers in America. Pre-registration is required, $20 includes the class and a post-beer workout. So, grab a friend, get in a good workout and enjoy local craft beer. We originally made the red saison to release in the spring but it did not fit in our brewing schedule this year with all the other beers we chose to do in the winter (lagers, Belgians) so we bumped it into the other shoulder season. This beer has a little bit of everything: barley, wheat, rye, black and caramel malts. Hopping is minimal to highlight the malt and yeast flavors. It is also a real pretty beer in the glass. Come in and have a look! The Burger Truck returns to Park Street for Friday dinner service. They always bring deliciousness and a specialty burger. September’s was called Cannonball in honor of Burt Reynolds and it was messy and really really good. We cannot wait to see what they dream up for October! Hail & Grill! Sweet Lydia’s returns to the taproom for a Halloween-themed pop-up and we are already scared. Of the costumes you will wear. Feel free to dress up, eat some hand-crafted candy and drink some hand-crafted beer. Kids and dogs in costume are also welcome. As always.